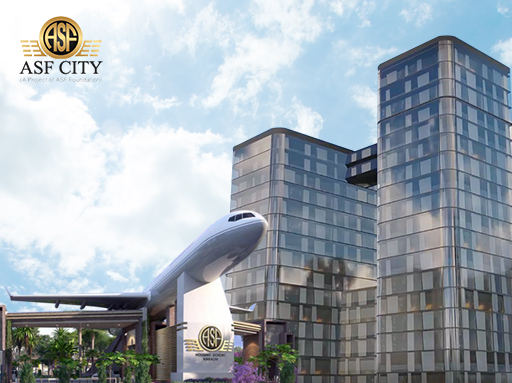 ASF City Karachi is a project by ASF Foundation, and is aimed to become the pioneering sustainable city of Pakistan. It has been planned to provide the best lifestyle to its residents, with quality infrastructure, safety, and peace of mind, proximity to all necessary facilities, its environment, sustainability, and efficiency. Care has been taken to emphasise on water and energy needs of the residents, while security is guaranteed through planning and information technology interventions. It is also in close proximity to some of the best facilities in town, while there are also integrated facilities for work, education, shopping, recreation and community activities. In addition, it aims to be the most energy-efficient and sustainable suburb in Pakistan, with efficient cycling, pedestrian, metro, and roadway systems. It also includes renewable energy systems, so it is a truly sustainable city. ASF City Karachi is located on the Karachi-Hyderabad Motorway (M-9) at the eastern border of Karachi, bordering Thatta District in the South and Jamshoro District in the East. The project is strategically situated close to the city core area of Karachi, Jinnah International Airport, Toll Plaza, Bahria Town, and accessible from Hyderabad, Nooriabad (the major industrial area between Karachi and Hyderabad corridor) and the potential corridor of Jhampir. The upcoming city is planned on an area spanning 3,000 Acres, comprising residential, commercial and mixed use elements.